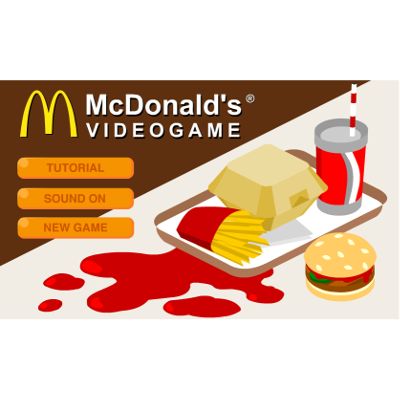 Players indulge themselves in the complex process of managing a supply chain in the food-focused corporation like McDonald’s. Making money might prove to be more difficult than it seems at the beginning. 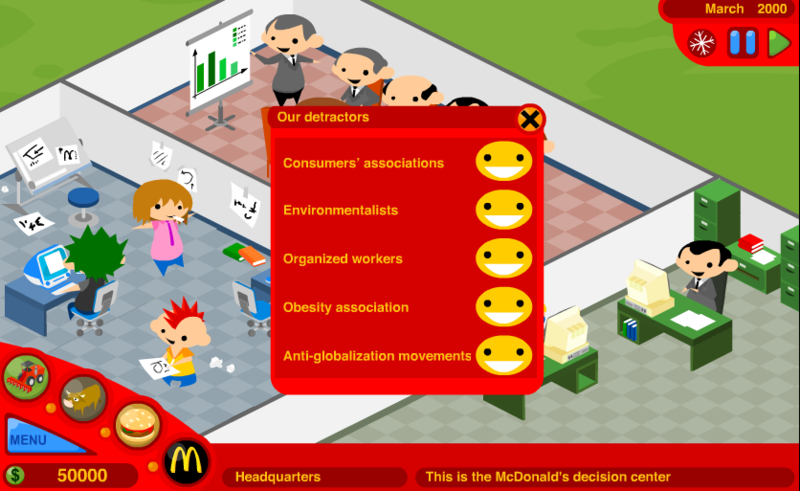 McDonald’s Videogame shows players that food-focused corporations’ negative impact on modern society, environment and health is born from rising demand for products created by consumers themselves. Decide the numbers of your fields and pastures. Decide the details of your cattle farming. Hire employees to fulfill the “hamburger” demand. Strive to become the hamburger potentate. Players understand the dilemmas of food producers. Players learn of the problems with meeting the demand and how those problems change the course of action taken by decision-makers. Players learn the importance of the answering to the demands of different groups of interest. Players understand unfair practices in a food industry.